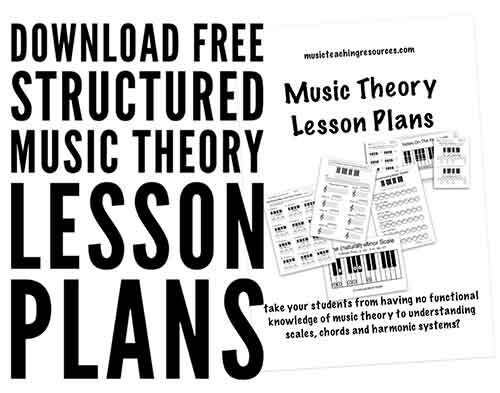 Download over twenty pages of free music theory lesson plans now. 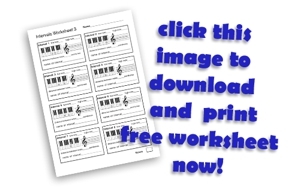 Free note naming worksheet to download. 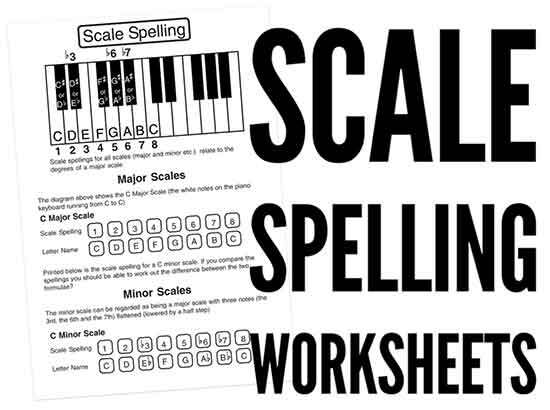 Download a free major and minor scale spelling handout. Constructing Major and minor Chords. 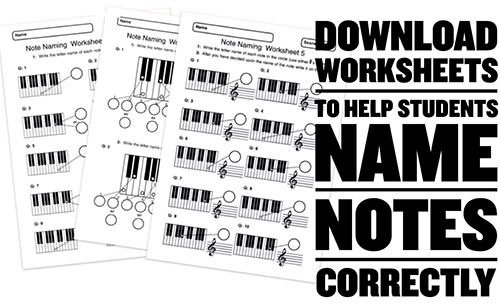 Help your students to understand all Key Signatures. 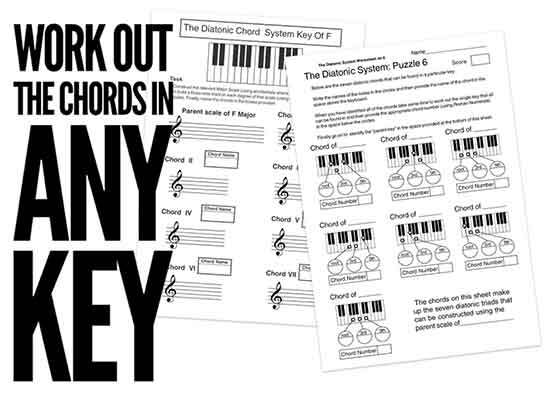 300 Music Theory Worksheets to use over and over again. Using "official" past examination papers is a great way to prepare music theory students in the period just before an examination but those things take up a lot of time (usually a whole session) and the reality is that for learners who are struggling with music theory the process of spending an hour staring at an examination paper that they are ill prepared to complete can have a counter productive effect. They can come away from the experience convinced that they will never "get' music theory and that the whole thing is way too complicated for them. Using the theory test as a diagnostic is just the first stage. The reality that we face as music teachers is that an ever decreasing number of our students read music fluently and as a consequence their exam results will suffer. If that were not bad enough we as educators tend to be judged to a large extent by how well our students do at exams. We need a way to have them understand how music theory works without having first to develop the ability to read music. As educators we need to get away from the idea that in order to understand music theory you first need to be able to read music. It simply is not true. If you look a it another way maybe its even more healthy? Rather than spend countless hours learning to sightread on an instrument so that you can walk into a room and read some (quite often) fairly dreadful music in order to perform to an audience who dont really care whether you play or not maybe it is better to be able to write a song, record it on a computer and (providing you can scare up enough people to listen to it) load it onto Itunes and Youtube etc and then sit back and get paid from downloads and adverts. "If music students can count from one to twelve and and are able to recite The Alphabet from A through to G then they already have the tools that they need in order to understand the harmonic and melodic elements of music theory"
Teaching Music Theory from a "standing start"
Music theory: Which order should topics be taught in? 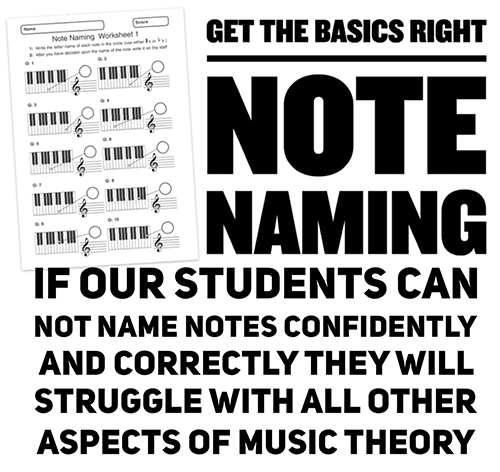 It does not matter which examinations board (ABRSM, Trinity, Rock School etc) our students are studying with if they cannot name notes correctly and with confidence they will fail. Developing a "real and joined up understanding" of the factors (note names and the sequence of whole and half step intervals) which underpin the construction of the C Major Scale will stand our students in good stead. When they are required to construct or analyse other Major Scales. They will always be able to verify their assertions and conclusions by referencing the C major Scale. The logic that lies behind this is that "if you fully understand one Major Scale then you understand them all"There is no need to "drip feed" scales to students gradually in accordance with the increasing numbers of sharps or flats in the key signature (as many exam awarding bodies do). Surely it is much better that they develop an understanding of all Major Scales from a strong theoretical position. 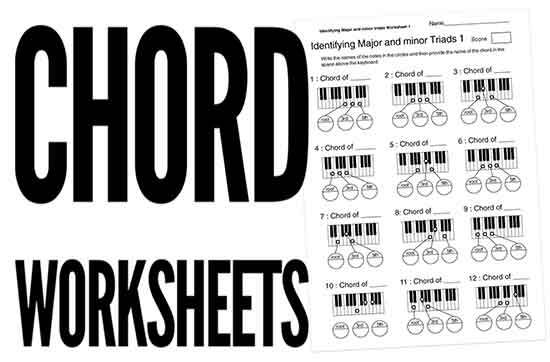 Following the scheme of work attached to this material will mean that all of your students will be able to identify the notes of any major scale after only a few classroom sessions. 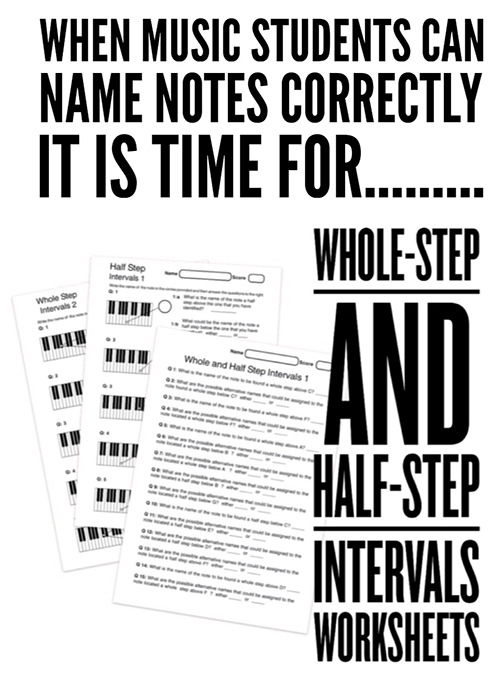 As well as the many worksheets dealing with each topic in the above list you can use the early stages mini music theory exams (there are ten music theory tests in the download that are pitched at a similar level) with your student group throughout the study programme to let you and your students see how far they have progressed. This will help enormously with regard to planning strategies that will allow you to move them on from where they are to where thy need to be. 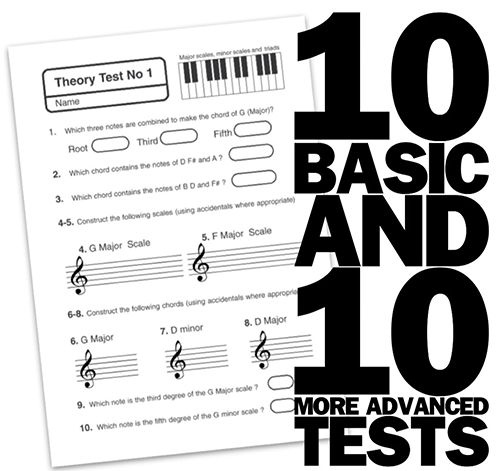 The first ten music theory exams in the download can be used during the early weeks and months to provide a "snapshot" of progress and attainment. They are a great way for your students to measure their progress. The tests can be used to help you and your students to identify areas of weakness. By quickly identifying those areas the tests will help you to come up with a plan to address those problems. 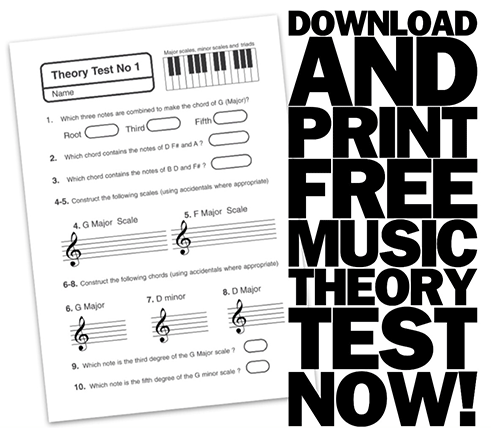 DOWNLOAD 300+ Music Theory Tests and Worksheets NOW! 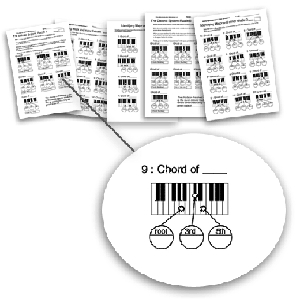 Our resources are designed by practicing music theory teachers and deal with the real "nuts and bolts" of music theory. Note Identification, Intervals, Scale construction, chord construction and key signatures. Together they provide a structured and flexible path to higher understanding for our students. 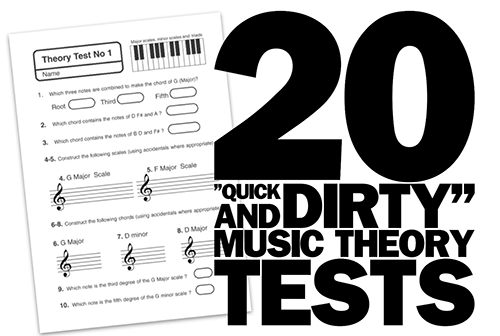 You can buy your music teaching resources (including the twenty "Quick and Dirty" Music Theory"mini exams" featured on this page) in complete safety via any major credit card (through paypal) or directly through your paypal account if you have one. If you choose to use a credit card, rest assured that we never see your credit card details as paypal do all of that for us. You will be taken to a page from where you can download the resources that you have paid for NOW!